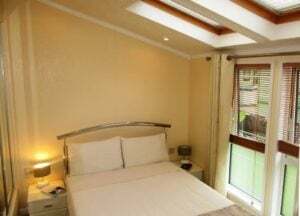 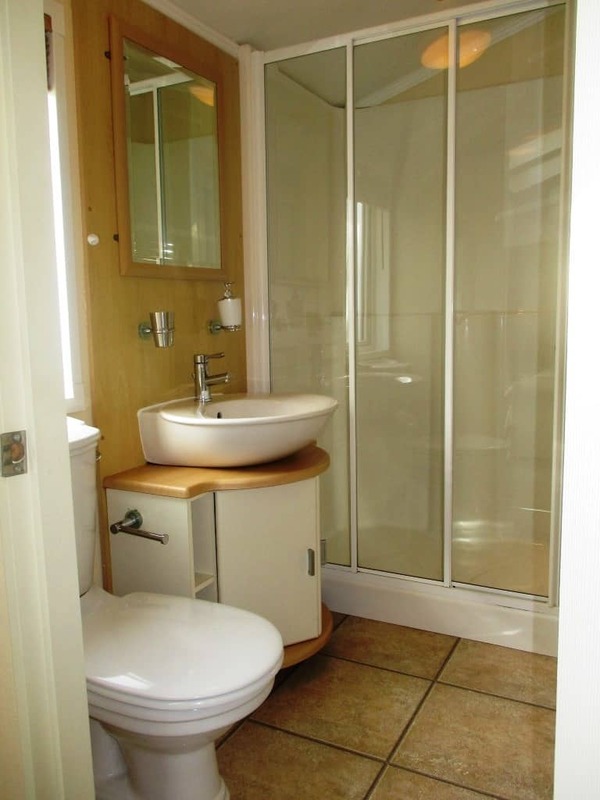 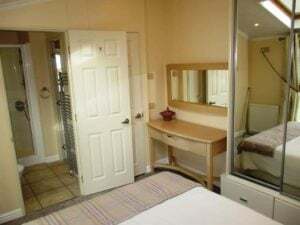 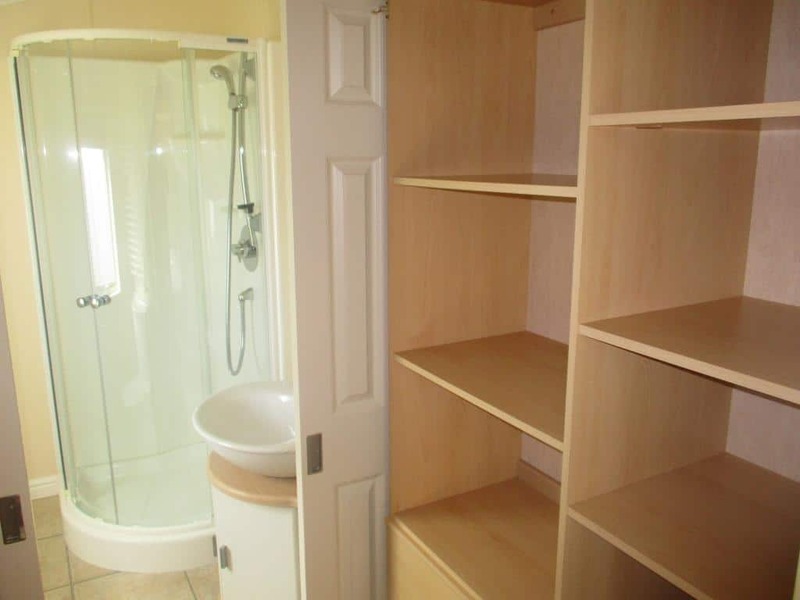 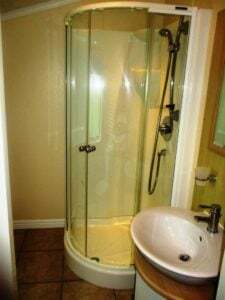 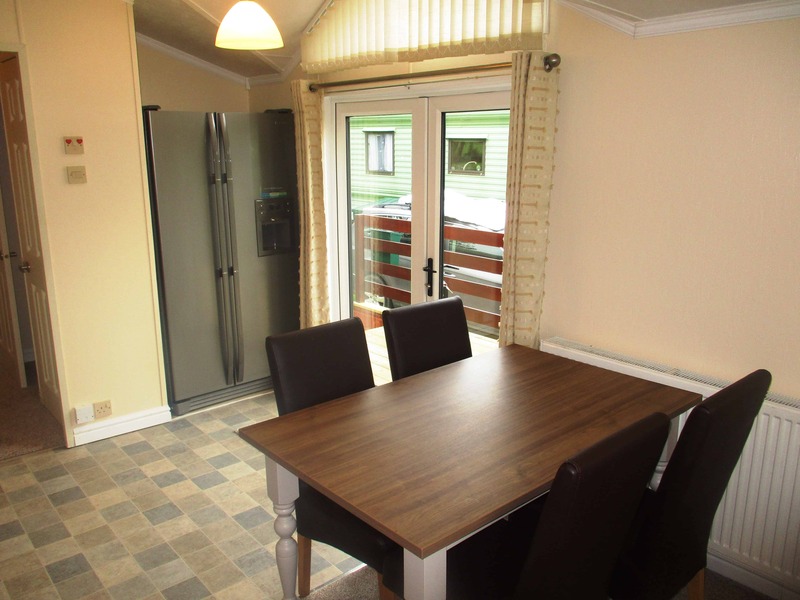 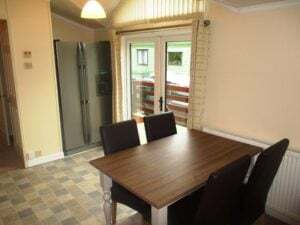 With central heating and double glazing, it has just been refurbished and is in fantastic condition. 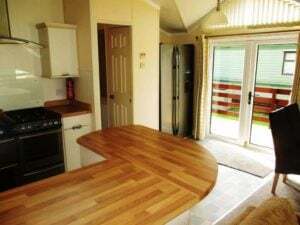 Inside it has been repainted throughout and has new carpets and kitchen vinyl. 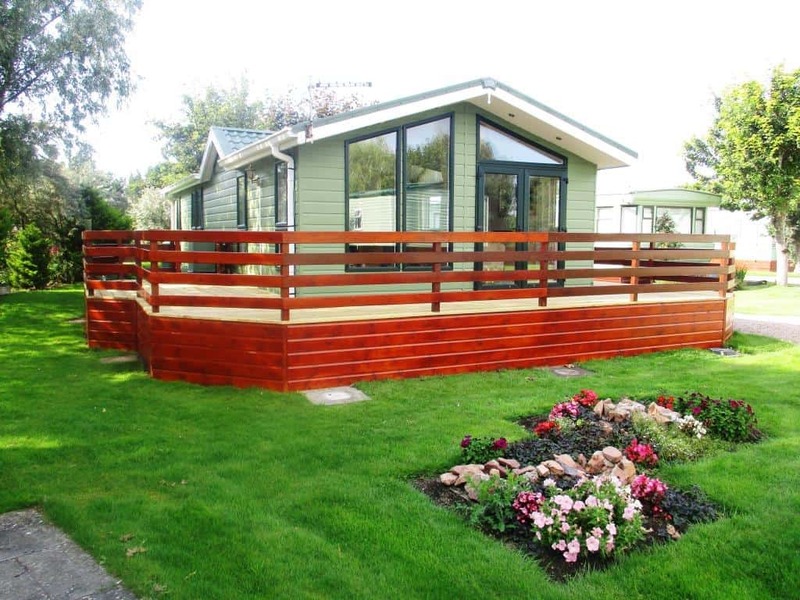 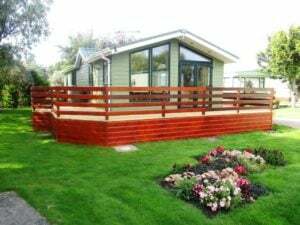 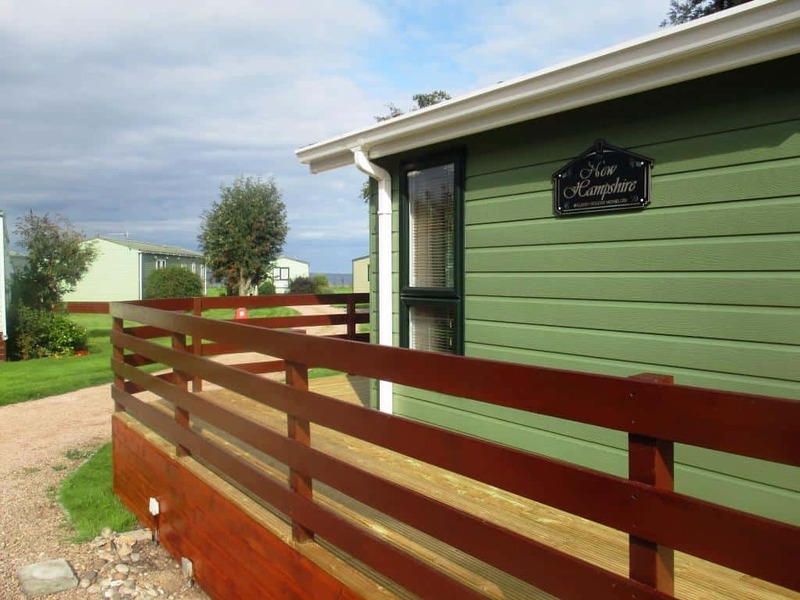 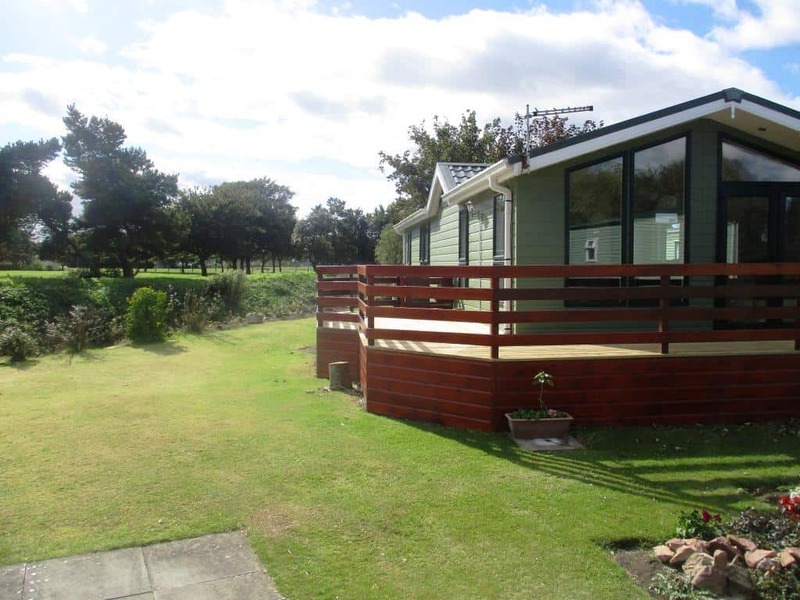 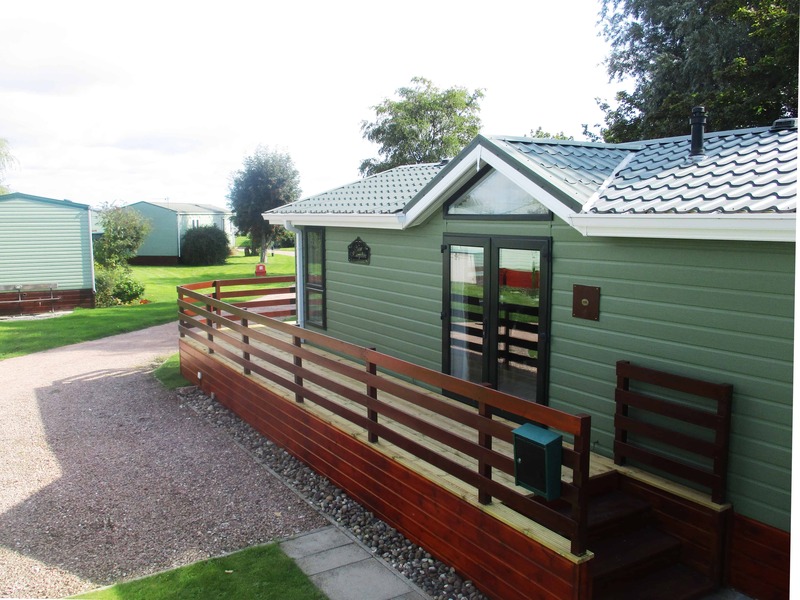 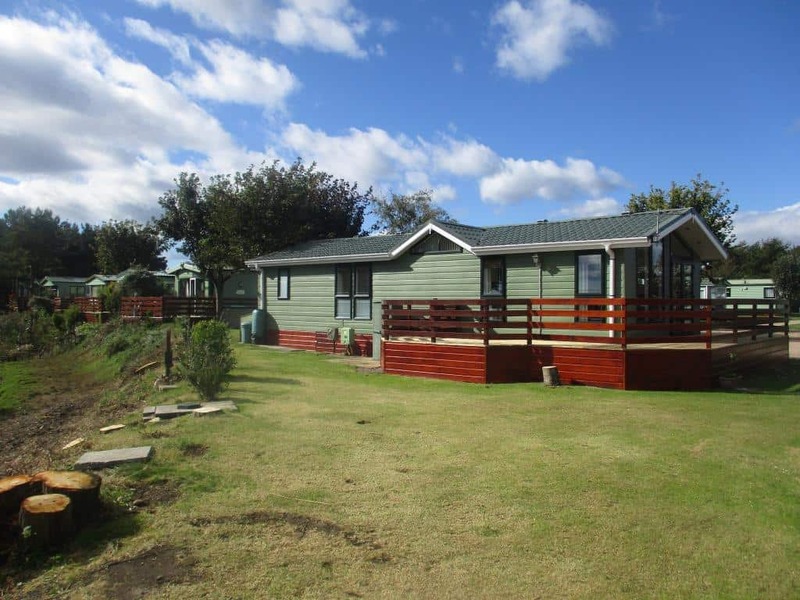 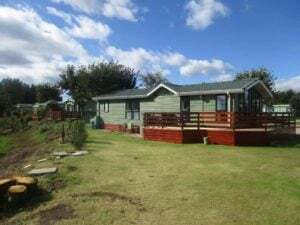 The exterior has been repainted and the decking boards and skirting are also brand new. 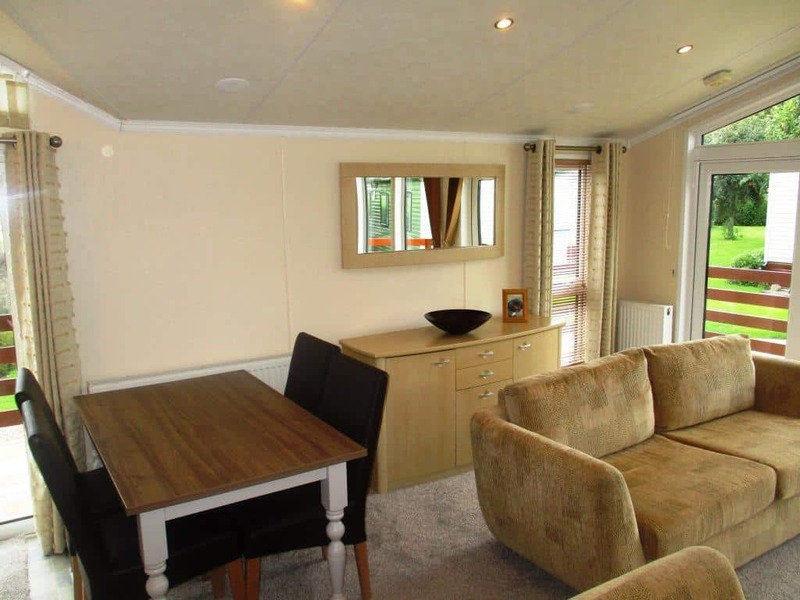 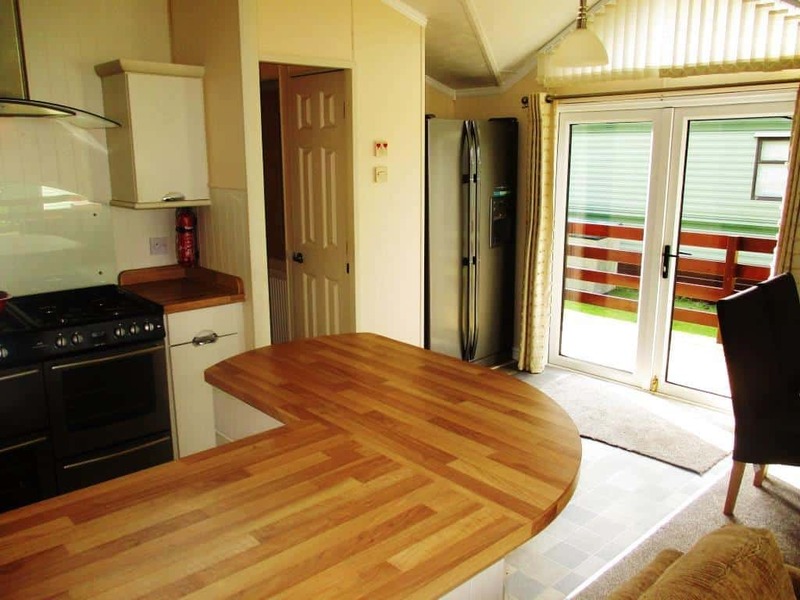 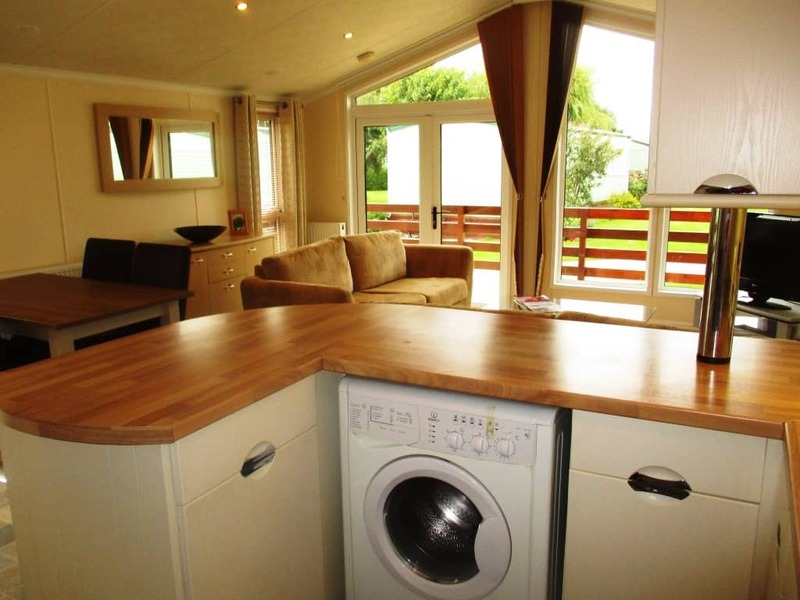 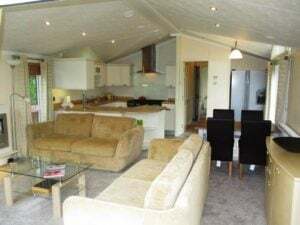 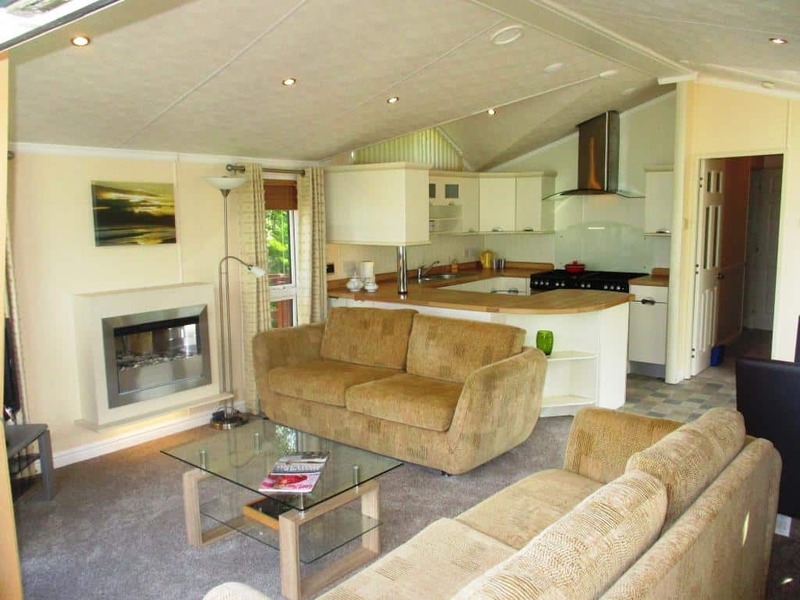 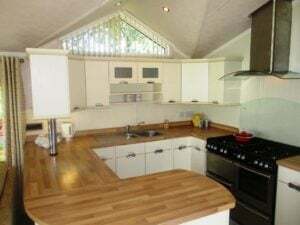 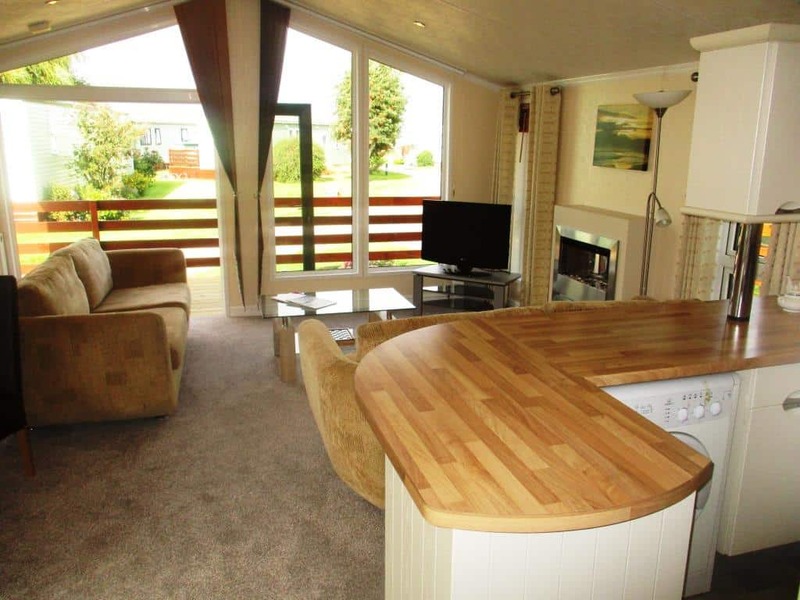 The huge kitchen has a 1 1/2 bowl sink and drainer, washing machine, large cooker and plenty of storage and counter-top workspace, there is also a large American style fridge freezer. The dining area has a brand new table and chairs and the spacious lounge has twin 2 seater sofas one of which converts to a bed. 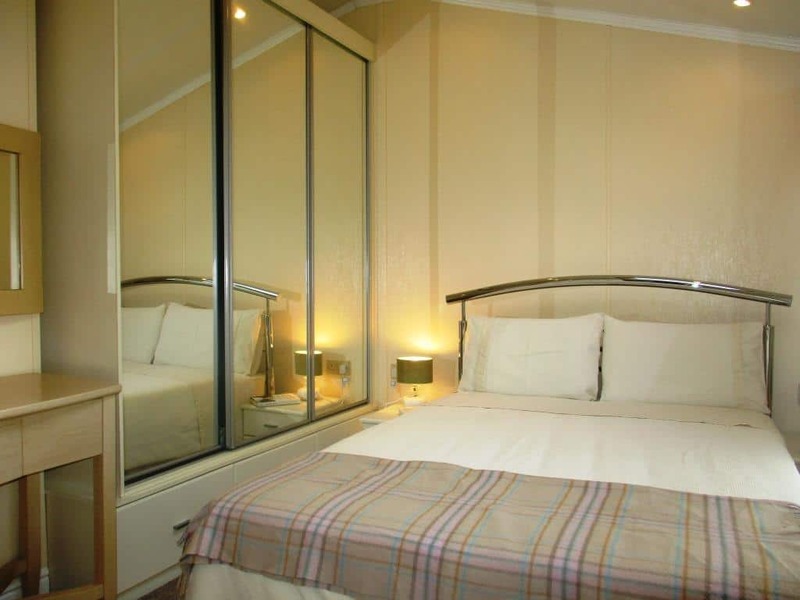 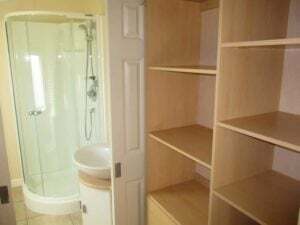 The master bedroom has built in wardrobes, velux windows and a large en-suite shower room whilst the other bedroom features a large walk through wardrobe to another en-suite shower room. 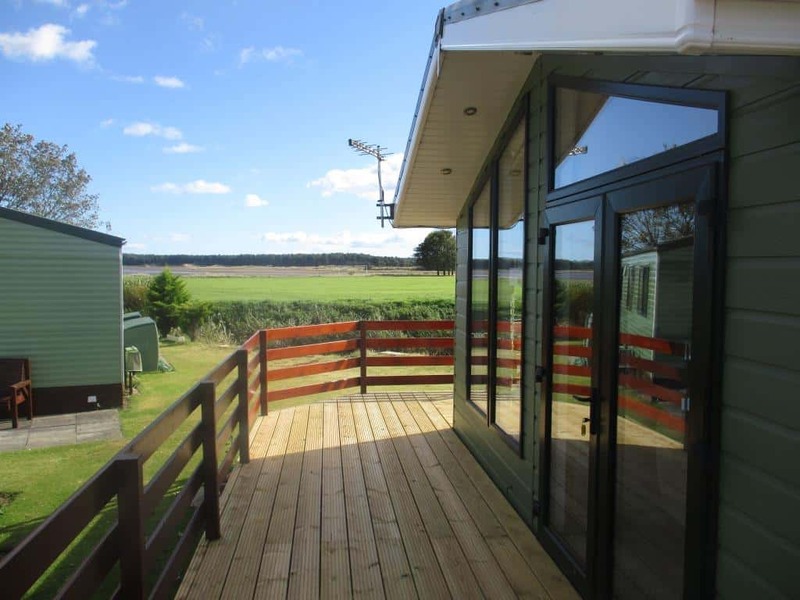 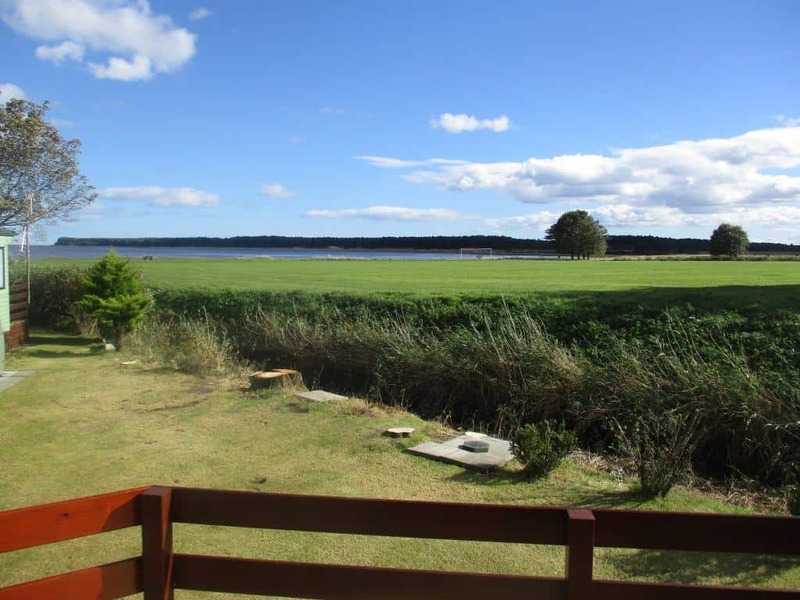 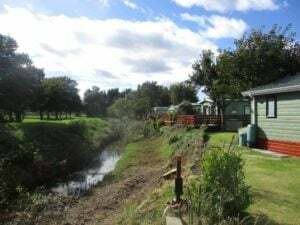 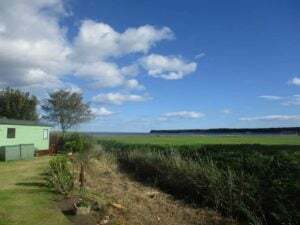 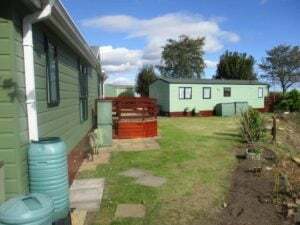 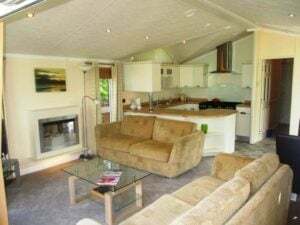 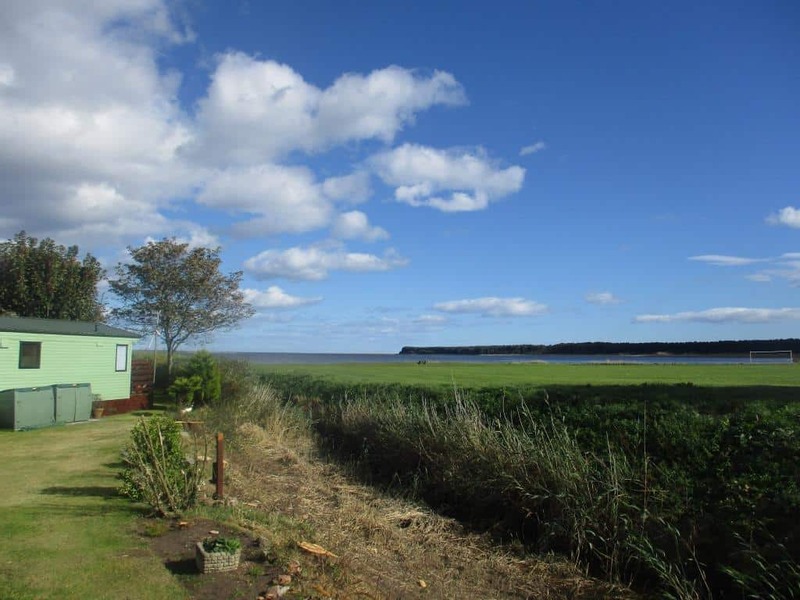 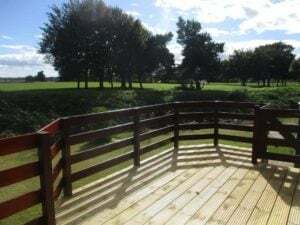 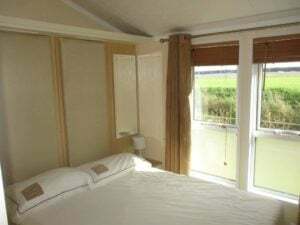 Patio doors open onto the deck which wraps most of the way around the unit and on the far side there’s a seating area with fantastic sunny open views across the common to the Tay Estuary and Tentsmuir forest beyond. The outside is completed by a kerb-lined parking space, slabbing area leading to the steps onto the balcony and a little private garden looking out over the Estuary. 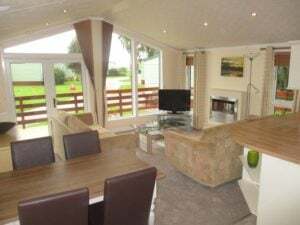 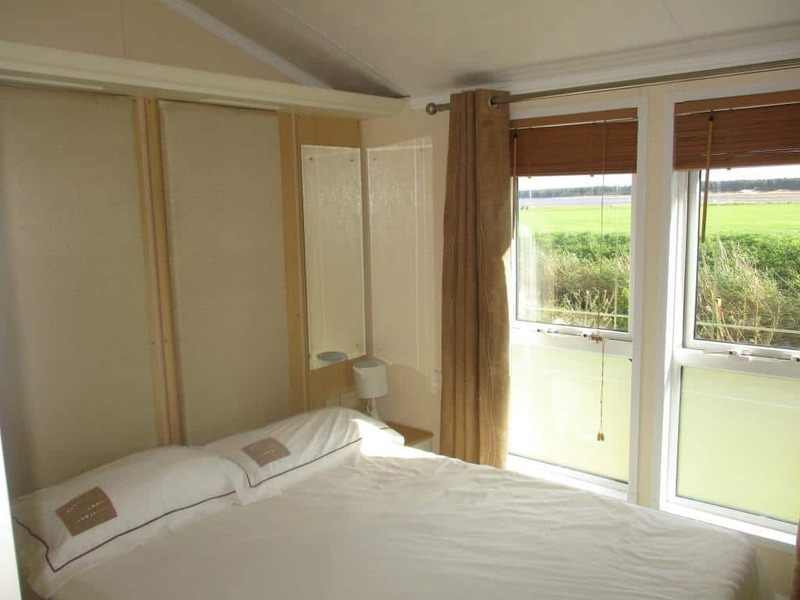 Available to view now, no management fees due till March.